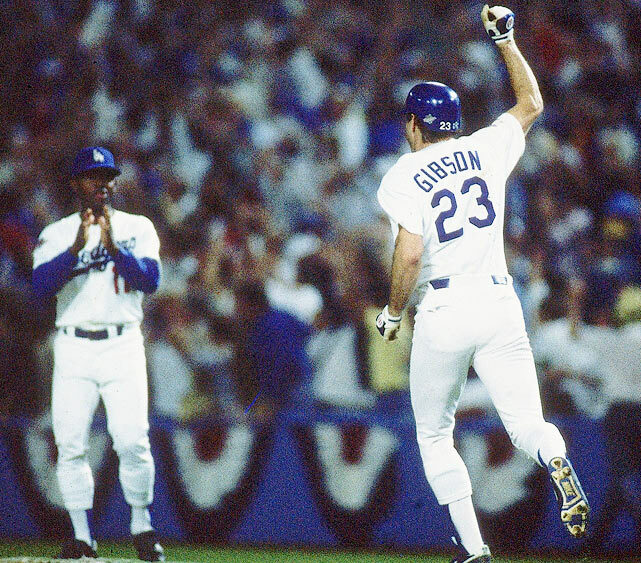 Thinking back to that 1988 World Series game one Los Angeles Dodgers vs. Oakland A’s. I was 14 years old and a freshman in High School. I had gone to a wedding with my mom and we were at her friend’s house in Glendale after the reception. I didn’t really know anyone there, but we all had one thing in common, we were cheering for the Dodgers. Little did we know that we were witnessing a historic moment in sports. Thinking back, that 1988 Dodger team didn’t really have any superstars on it, take a look below. The A’s were loaded with stars: Carney Lansford, Dave Henderson, Jose Canseco, Dave Parker, Mark McGwire, Terry Steinbach, Glenn Hubbard, Walt Weiss, and Dave Stewart and were the heavy favorites. 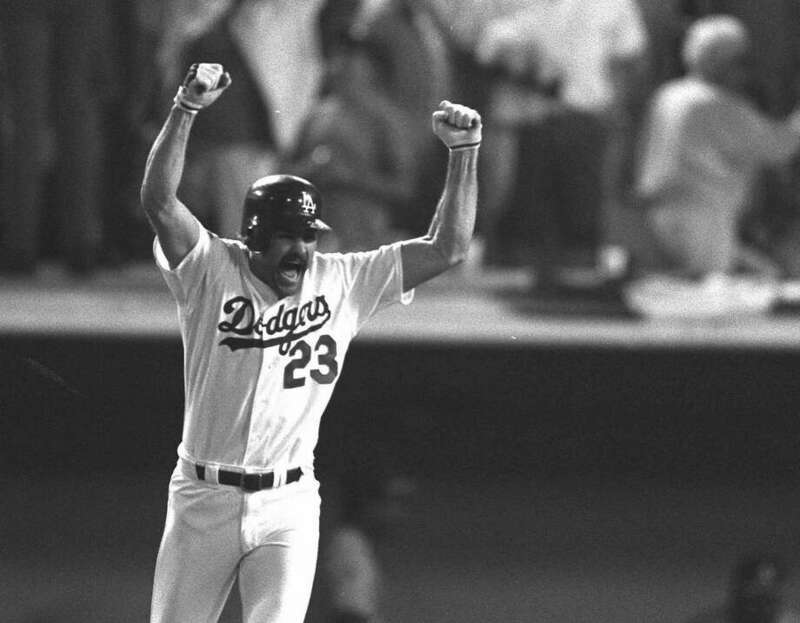 Kirk Gibson who was one most productive bats in the lineup during the year batted .290 with 25 HR and 76 RBI didn’t even start the game. Gibson wasn’t even dressed when the 9th inning began. He was getting treatment for his leg injury suffered in Game 5 vs. the NY Mets while sliding to break up a double play at second base. 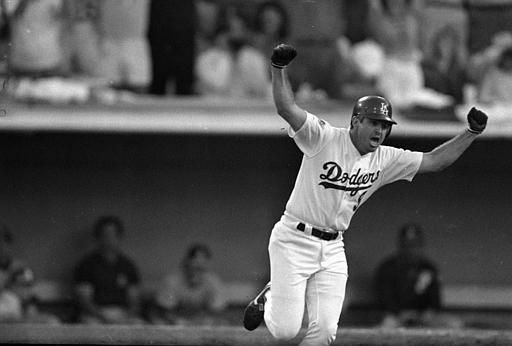 How could this 1988 Dodger team possibly win? The A’s were a heavy favorite, but in the end, the Dodgers won it all in 5 games! Here are some of my favorite images from that series. Who can forget Orel Hershiser’s scoreless inning streak in 1988? 59 consecutive innings without a run! 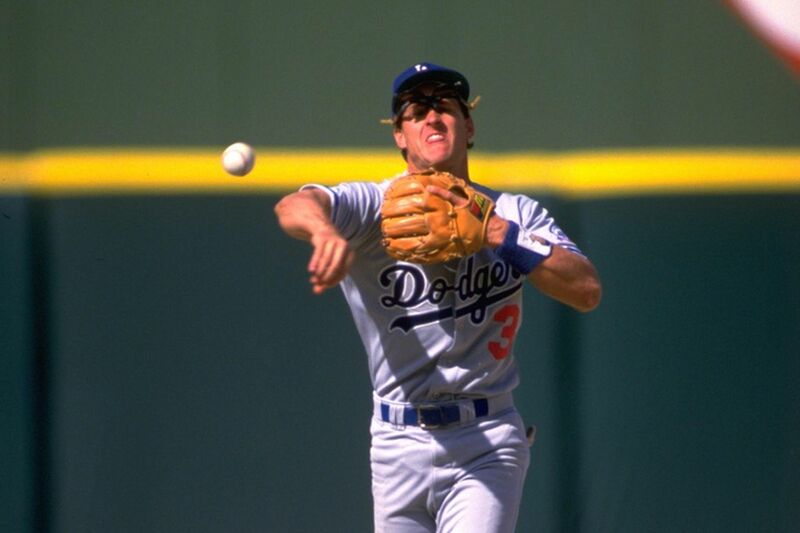 I feel like 29 years has been enough, its time to bring the World Series Championship back to Los Angeles. One of the most insane dunks I have ever seen. Poor Brandon Knight gets posterized for life!!! Must See! I got a chance this weekend to go see my beloved Trojans take on the ASU Sun Devils in their final home game of the season. Pretty exciting game. Took a few pix. Check ’em out! USC Prevailed 57-56 in a close and very exciting game.